Telephone reception Monday to Friday from 9am to 7pm, Saturday from 9am to 6pm, Sunday from 9.30am to 1pm and 2pm to 5pm. 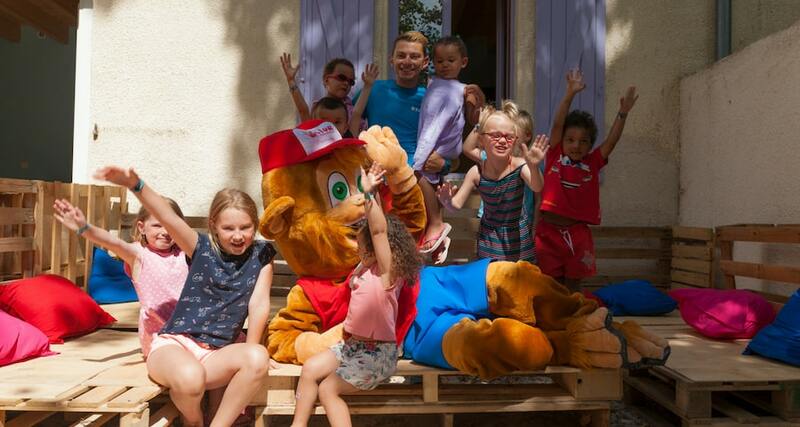 Welcome to Sérignan-Plage, at Le Clos Virgile 4-star campsite! Treat yourself to the holiday of your dreams in an idyllic location only a few minutes away from a beautiful beach of fine sand. 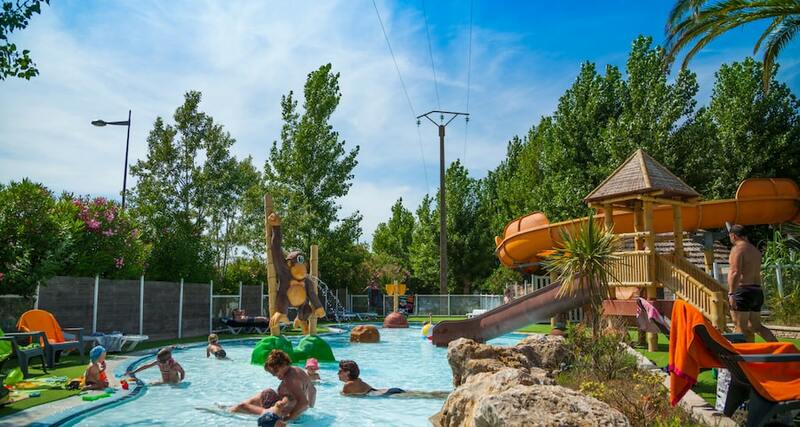 Nestled in the heart of the protected natural site of Orpellières, which is spread over 6 hectares, our 4-star campsite in Sérignan welcomes you with open arms so that you can discover true camping pleasures in a calm, friendly setting. We offer mobile homes to rent for 2 to 8 people, chalet rental, or camping pitches. You will find quality equipment and all the comfort you need. Do you want to be in contact with nature, while enjoying a beautiful, fairy tale setting? Or are you looking for a place to recharge your batteries and spend an enjoyable time with family or friends? 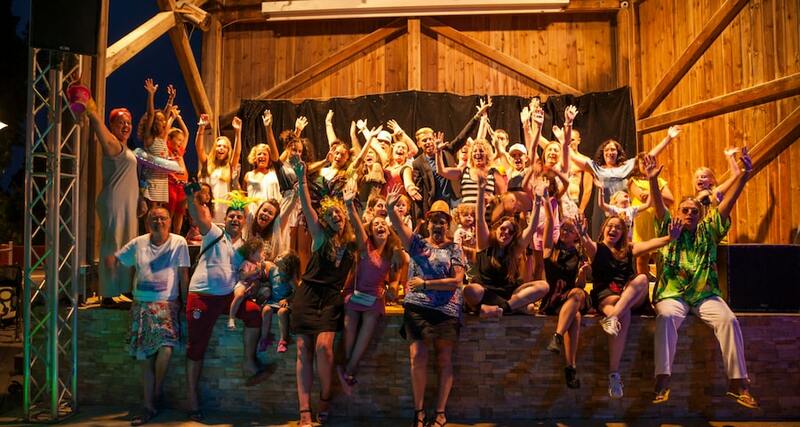 You can have both at 4-star Camping Club Le Clos Virgile. Ideally located in the heart of a large protected natural area, our 4-star campsite in Sérignan meets all the criteria required for an unforgettable holiday with your loved ones. 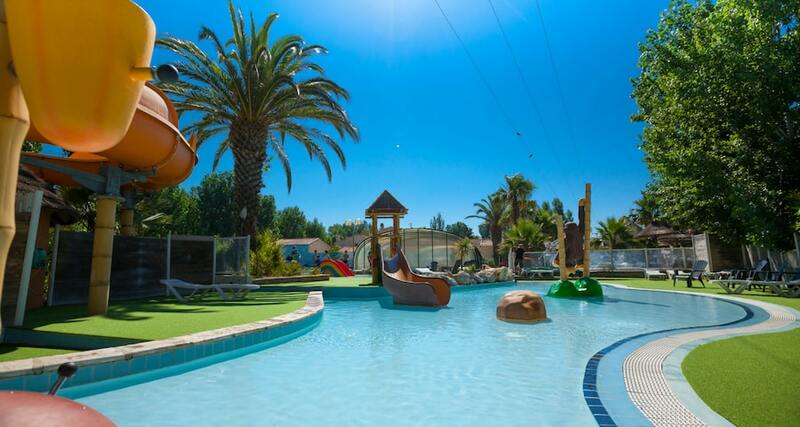 Relax all day with family or friends at our water park in Sérignan. Our two pools, paddling pools, water slide, and relaxation area with 2 Jacuzzis, will provide all the relaxation you need! 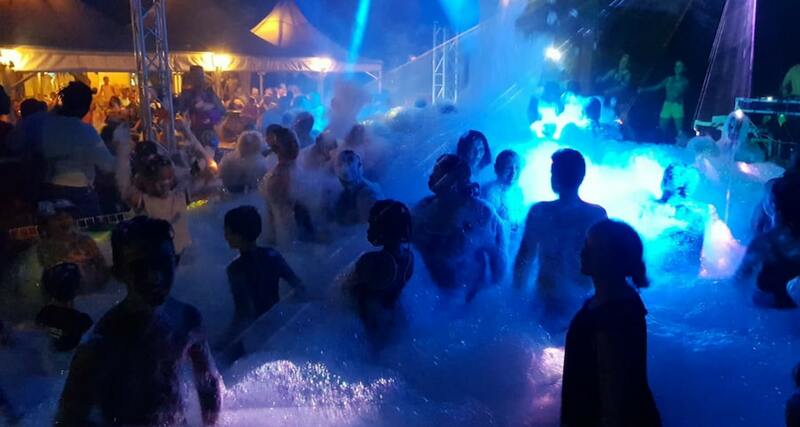 Discover Le Clos Virgile campsite in pictures and get an idea of the atmosphere! 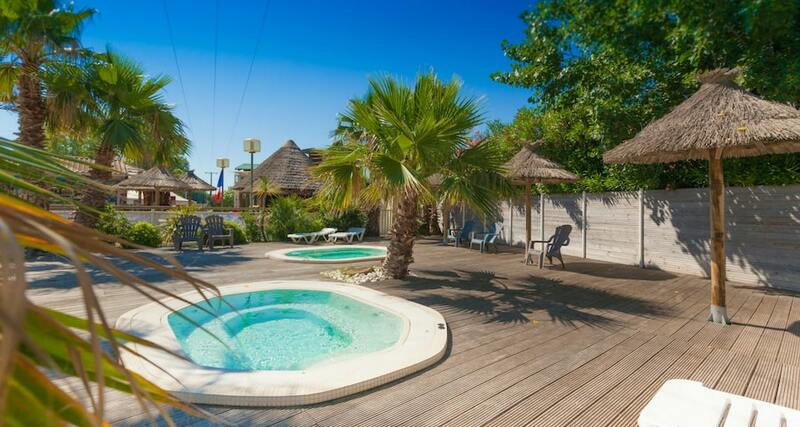 Have a great time at Le Clos Virgile 4-star campsite, away from the burden and pollution of the city! 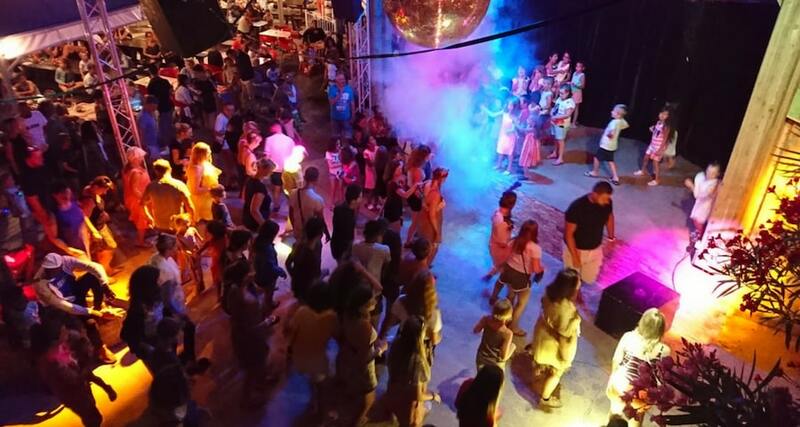 Facilities have been specially set up at our Camping Club for your enjoyment, with a range of activities to do with family or friends. You can unwind beside the outdoor swimming pool, under the shade of the majestic trees and the parasols set up on sunny days. An indoor, heated pool, and two Jacuzzis are also available for total relaxation. 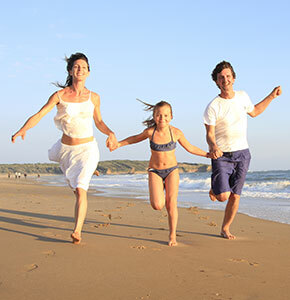 For your family or group holidays, choose Le Clos Virgile 4-star campsite and make your stay a unique experience shared with your loved ones. We make it easy with online or phone bookings. 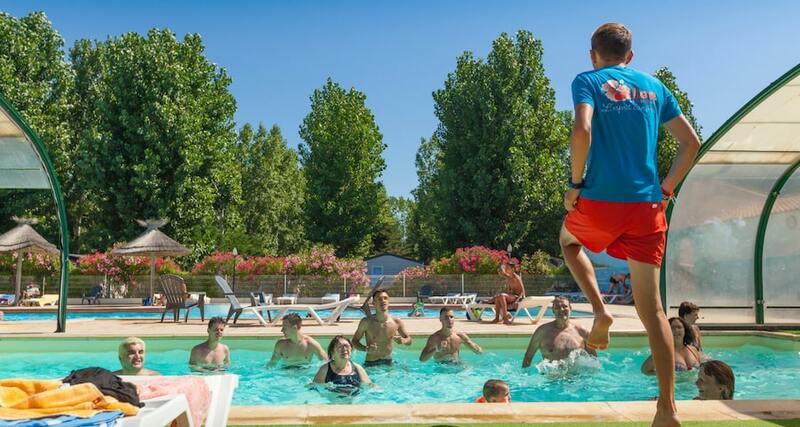 See you soon in the comfortable 4-star campsite, Le Clos Virgile in Sérignan!